"Will hook readers immediately and they won't be able to put this thrill-ride of a book down." 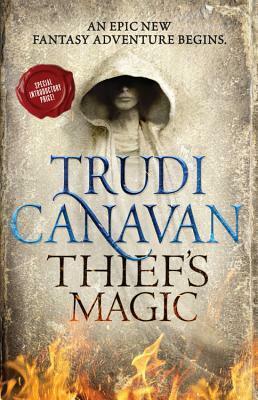 ""RT Book Reviews" on "Thief's Magic"""
Trudi Canavan published her first story in 1999 and it received an Aurealis Award for Best Fantasy Short Story. Her debut series, The Black Magician Trilogy, made her an international success and her last five novels have been "Sunday Times" bestsellers in the UK. Trudi Canavan lives with her partner in Melbourne, Australia, and spends her time writing, painting and weaving.